We’ve talked a lot about the importance of packaging on our blog. But this time, we will have a look at gift wrapping from the customer’s perspective. I feel like a child when Сhristmas is coming. And I’m pretty sure that I’m not alone here! Every year, I look forward to the moment when I’ll finally get my gifts in beautiful Christmas wrapping. You have a great chance to make your customers feel this magic too. 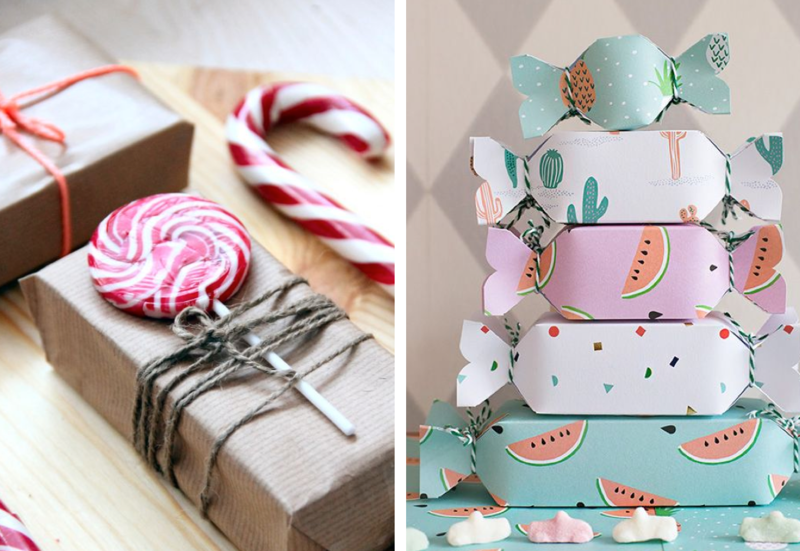 I have collected 100+ inspiring ideas for Christmas wrapping on the Pinterest board. Let’s look at some easy suggestions that you can use in your business. 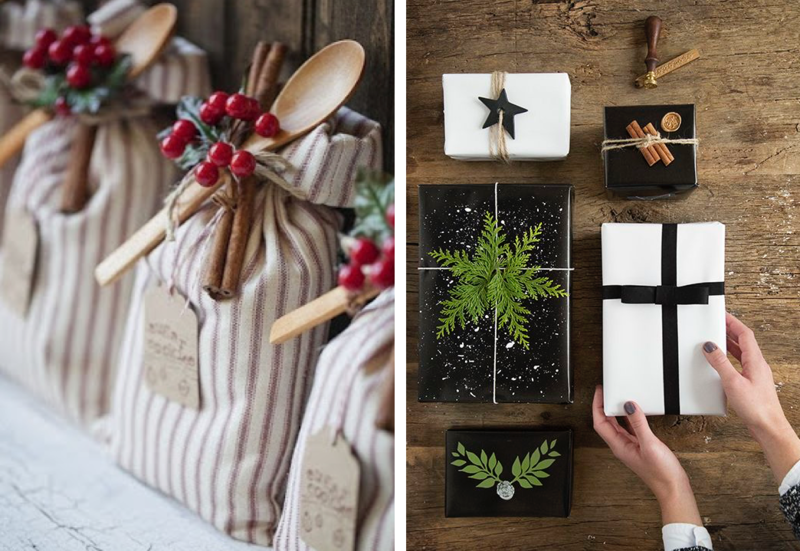 The most obvious way to wrap your product for the holidays is simply using festive wrapping paper. If you want to stand out from the crowd, create your own DIY print. Pine branches look gorgeous. Combine them with pine cones, cinnamon, citrus fruits, or dry flowers to decorate the package, or put some inside the package. Be aware that it might be difficult to ship that kind of parcel long distance, but your local customers will be delighted. The Christmas star is the ultimate symbol of the Christmas miracle. 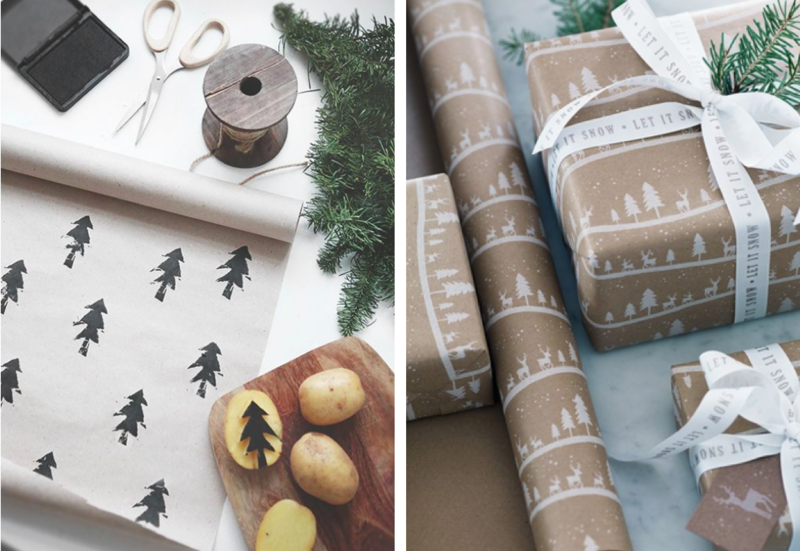 There are a lot of amazing examples of how you can use stars to decorate your wrapping. 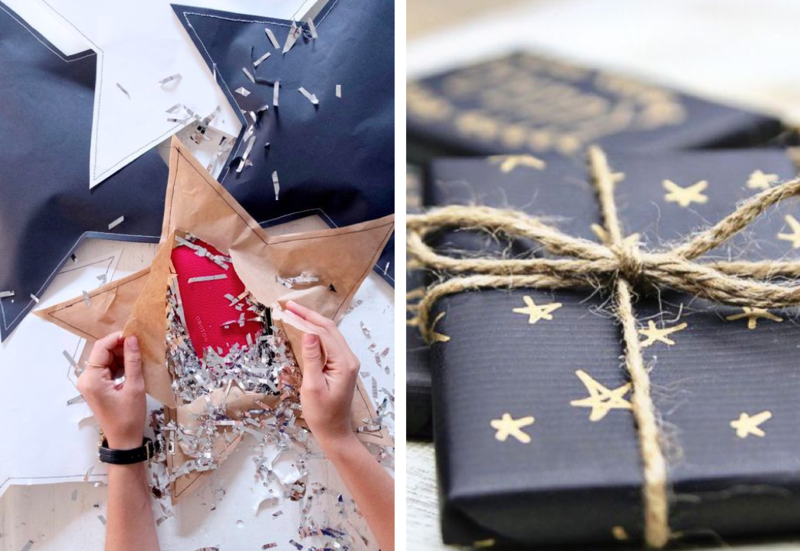 Get packaging in the shape of a star or use wrapping paper with a star print. 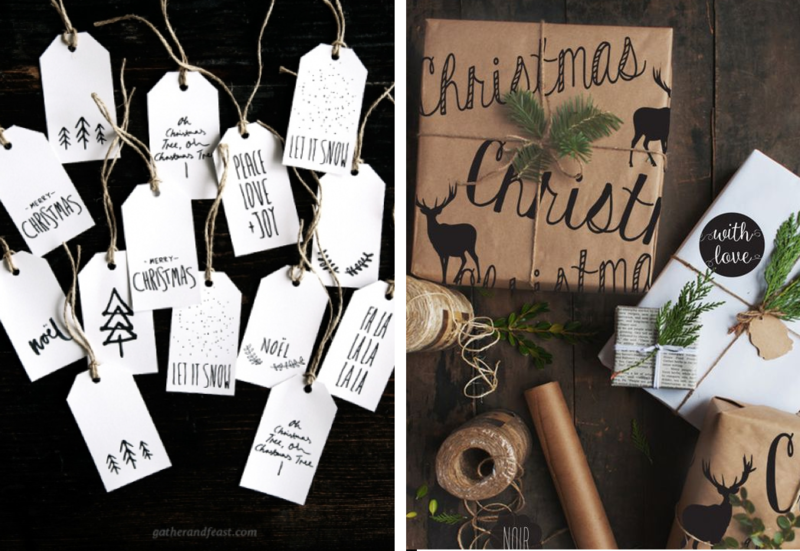 You can use your regular wrapping paper or boxes, and decorate them with Christmas tags or stickers. Your customers will feel over the moon if you put short personal wishes on the tags. Everyone loves treats! The more, the better. A no-brainer idea is putting candies inside the package. If you have enough time and other resources, you can also give your packaging the shape of candies. Those ideas are just the top of the iceberg — for more ideas, check out our Pinterest board with more than 100 pins and choose the idea that suits your store best. Depending on your aims and scopes, you can offer Christmas wrapping for free, as a paid option, or as a combination. Let’s look at these options in the Ecwid store. First of all, you should inform your customers about your holiday offer. Of course, Christmas wrapping could be a great surprise for customers, but it’s also an additional motivator that amplifies the value of a purchase. You can let customers choose between free and paid premium Christmas wrapping. It helps you to cover all the costs and even earn some money. You can easily set this up by using Product Options and Product Variations. Customers can even see what your wrapping looks like. Follow the detailed instructions here: Product Variations in the Ecwid support section. 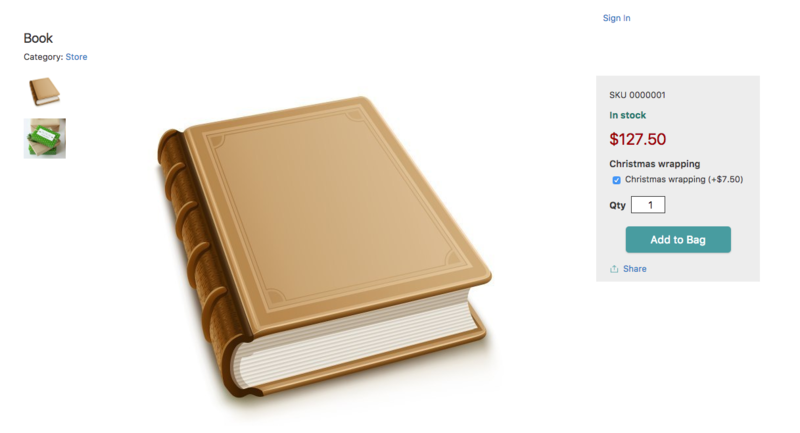 If you come to the realization that you can’t offer Christmas wrapping for free, just let your customers buy it. You may be surprised how popular it is. 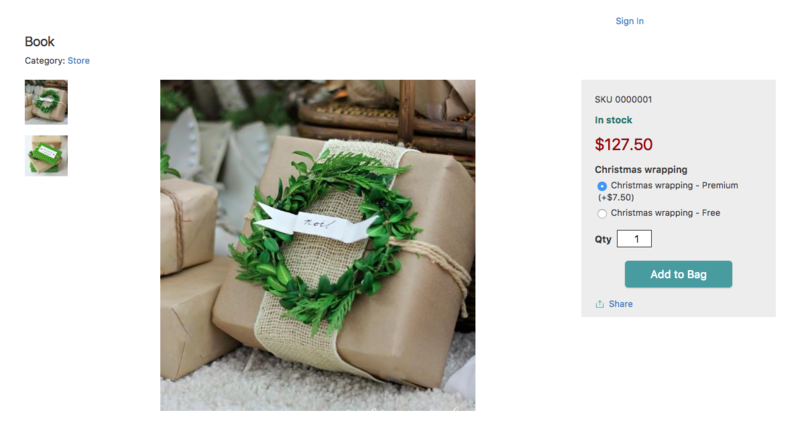 In your Ecwid store, you can add wrapping as a new product in the catalog or give customers the opportunity to add Christmas wrapping to their products. We look forward to hearing your opinion on what type of wrapping you prefer. And, of course, we really want to see the Christmas wrapping that you use. Share a photo in the comments below.